I’m happy to announce the winner of the Fulfilled giveaway! 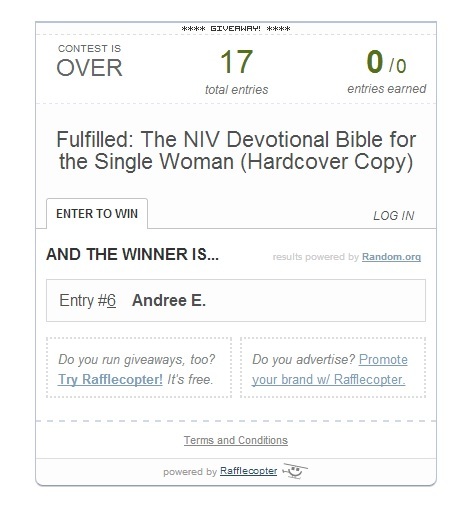 Congratulations to Andree E Writes, who wins a copy of Fulfilled: The NIV Devotional Bible for the Single Woman. Andree, check your email for the details. Thanks to everyone who entered! 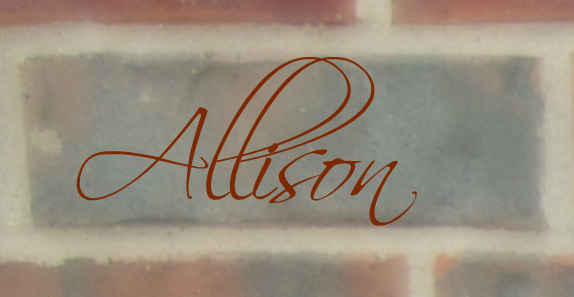 Have a great weekend and check back on the blog next week for some sneak-peek quotes from Truth, Lies, and the Single Woman!